Mixing esports and traditional sports both in-game and in terms of partnerships seemed like a natural fit for Brendan Donohue. And one year after moving from a more traditional NBA role to managing director for NBA 2K League, he "couldn't be happier" with how things are going. Speaking to GamesIndustry.biz at Esports BAR Miami, Donohue says the League saw consistent growth, week by week, throughout its kick-off year. It's enough that in the second season, the League is adding four more teams to its existing 17. For Donohue, that growth in terms of audience, partners, and teams is the primary hallmark of the League's success. In our interview with him last year at the start of the League, Donohue referred to revenue as a "secondary goal" and said the League was "a long-term play" to grow an audience over time. Donohue feels that the League's first year met both its primary and secondary goals, and hopes to continue to scale it up further in the coming year in both respects. "When I said last year that revenue is not our top priority, I mean that we're more focused on growing and scaling this league," Donohue said. "Revenue is still very important. But we're more focused on growing a fanbase and revenue will follow." A large component of NBA 2K League's success has been its accessibility. Unlike Overwatch or League of Legends, NBA basketball is something most people already have a handle on, whether that's understanding the game itself or simply recognizing the NBA as a known and respected name. Donohue said that's proven advantageous from a number of angles. One obvious example is with the League's audiences. "If you put our game on ESPN or Turner or whatever, I think a casual audience would pick up on it right away"
"I play [Overwatch]," he said. "I think it's an awesome game; when I watch it, I get it. But if you have someone who's never played the game before, it can be intimidating. That's where I think we have a really distinct advantage where the majority of the world can watch our game and know what success looks like and what a good player looks like. And that's where I think if you put our game on ESPN or Turner or whatever, I think a casual audience would pick up on it right away." I asked Donohue about the possibility of NBA 2K League being broadcast on a major television network such as ESPN, the way Overwatch League was last year. Donohue said he was open to the idea in the future, but that it hadn't been a part of the conversation for the League's first year. "Because our game translates so well to a casual audience it's a big opportunity for us," he said. "I do think the digital and linear TV products are merging with or without us, so it is an opportunity for us to potentially pursue. We decided to enter into esports with Twitch. They were the preeminent streaming platform out there so we thought it made a lot of sense as we went into esports to just go with the best." Existing NBA 2K fans aren't the only audience that the League has apparently resonated with. Donohue said the accessibility of the game extends to audiences who normally don't watch sports games on Twitch, but stumbled upon the game due to being a general esports fan. "When you people come to our studio who have never played the game before in their lives, within two minutes they're like, 'I feel like I'm watching a real NBA game'"
"We've actually been happy with the number of esports enthusiasts who have taken to the 2K League," he said. "And maybe it's a person who's on Twitch who's just browsing different titles checking out the 2K League, and we've actually seen a lot of that. I think it speaks to the notion of us being easy to recognize and follow. And just anecdotally, when people come to our studio who have never played the game before in their lives, within two minutes they're like, 'I feel like I'm watching a real NBA game.' I hear this every week. That shows it's a pretty easy game to enter into and absorb." 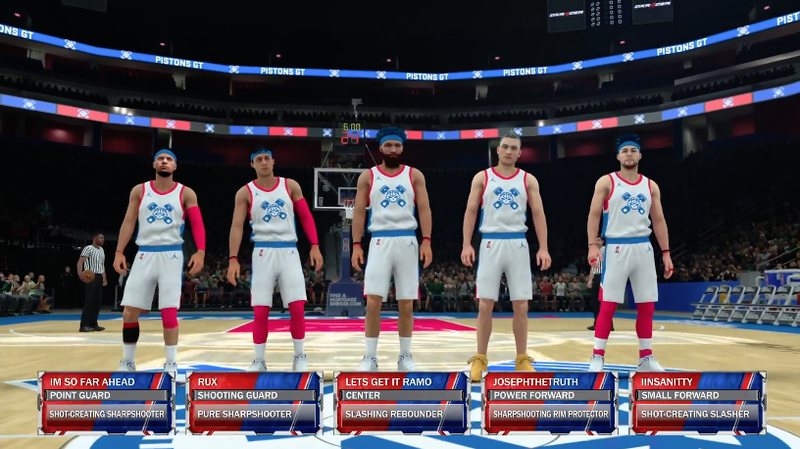 Aside from audiences, Donohue said NBA 2K League's accessibility has also proved an advantage when speaking to its investors and partners, even those who are new to or less familiar with esports as a whole. "When we have meetings with potential partners, there definitely is an education process where we have to walk through exactly what we're doing: it's five-on-five, we're playing in a central studio, it's not LeBron vs Steph, so we just have to go through the basic pillars of the League," he said. "But for us, we're going in with in many cases deep relationships from working with them through the NBA, or just a comfort level that they're proud to put their logo or brand next to the NBA brand or 2K brand. "I also think this idea that esports is just, oh, 'watching people play video games,' I think Twitch has answered that," Donahue said. "There are 15 million people every day on a platform for two hours a day watching people play video games. So I think they may have answered that concern with their audience." Beyond just accessibility and name recognition, NBA 2K League has also been able to take lessons from the NBA on how to run itself. One example Donohue gave during his keynote at Esports BAR Miami was of a program that helped players transition into the League. Players are taught about social media, communicating with the press, good sleep and nutrition habits, and other lessons just as they are taught to regular NBA players coming out of college. "We fit nicely into what could be something of an Olympic sport, and it matches closely with our own belief that we're a global entity"
Donohue told me that the NBA also has learned from the League, implementing ideas such as the game's 2K cam in actual NBA games and receiving positive feedback. That said, Donohue maintains that esports has a flexibility traditional sports does not that gives it an interesting edge in attracting an audience. "If you watch our broadcast, we're engaging in the Twitch chat, and learning from fans what they want to see," he said. "We'll make adjustments to our camera angles based on fan feedback. We actually added player perspective cameras during the season. We made changes almost every single week, either we were getting feedback immediately from the Twitch chat, or in many cases we were taking fan ideas and adding them to the next broadcast. And they freaked out - the fact that we did that, [fans] loved it. In many ways, our on-air talent is acknowledging people in the chat during the broadcast, which you'd never see in a traditional sport." Donohue re-emphasized that point later in his keynote, saying that the NBA 2K League finals last year looked nothing like the first games broadcast earlier that year. In that regard, he said the League will continue to iterate going forward based on what its audience asks for. As he put it onstage, "A totally customized broadcast is the future of consumption." I asked Donohue later in our conversation what he thought about esports in the Olympics, especially in light of concerns about games "promoting violence or discrimination" from the International Olympic Committee. Donohue agreed that NBA 2K would be a good fit as it does neither, though he added an additional reason. "If our player pool diversifies, we think that improves its quality"
"No one knows more than the NBA the power the Olympics can have," he said. "There are very few more transformational moments in the NBA's history than the Dream Team. And the Dream Team has led to us having 13 regional offices around the world and it's led to the game becoming a huge global entity. I understand why the Olympics is interested. I think it makes a lot of sense for them to attract a younger audience, and I don't think that conversation is going away. We fit nicely into what could be something of an Olympic sport, and it matches closely with our own belief that we're a global entity." 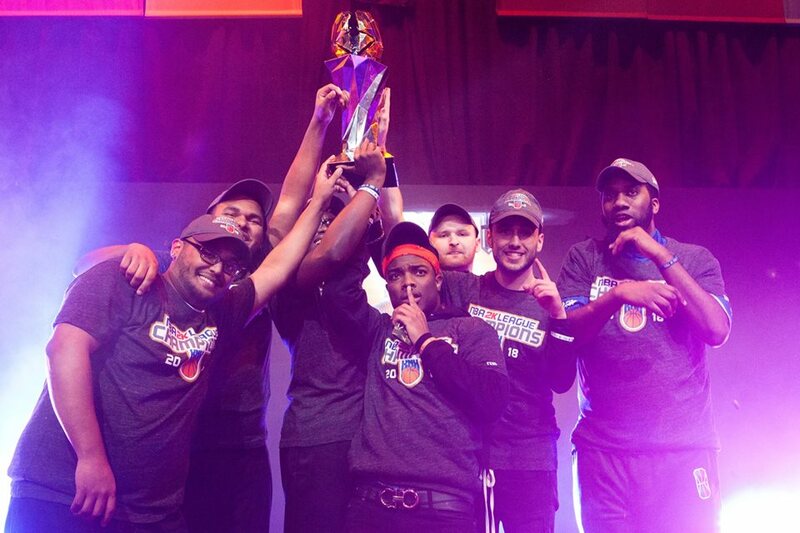 Diversity in esports continues to be a growing concern, and the NBA 2K League is no exception. For its first season, the League had 72,000 people try out, and Donohue said gender was unknown during the process until the very end. Of those 72,000, only one woman progressed to the final 250, and she did not make it into the 102 players in the League itself. Donohue wants that to change in the future. "Diversity is a major initiative for us," Donohue said. "We were disappointed to see [no women make it into the League], so we made it an initiative internally. We created a task force made up of 2K and NBA and esports industry experts to try and address this, and also we've identified some of the top female 2K players and we've done focus groups with them and our teams to identify if there were any potential barriers in making it into the League. It's a priority for us to have female players in the future. "If our player pool diversifies, we think that improves its quality. We had an influencer event back in July where we had some of our 2K League players, four of the best female 2K players in the world play. We've already started to make it feel normal in the 2K League, so we hope to lead the way there."